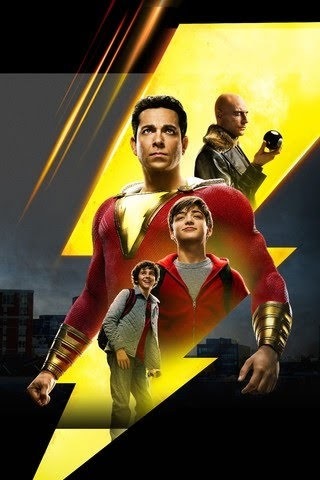 Due to personal schedule issues and a sneak preview, I think it’s some cool pop cultural juju that led to me seeing Shazam! a week after seeing Captain Marvel. Besides the common name thing, this lets me release a properly timed movie review in advance of the official opening for a change, as opposed to after the first week crowd has seen it! It also means my Detective 1000 review will be late. 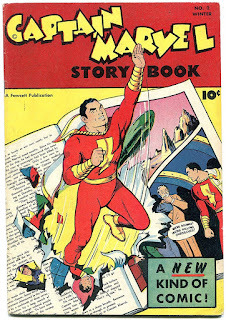 Here are my suggestions for how to experience the qualities that made the original Captain Marvel one of the premier heroes of comicdom for all these years. 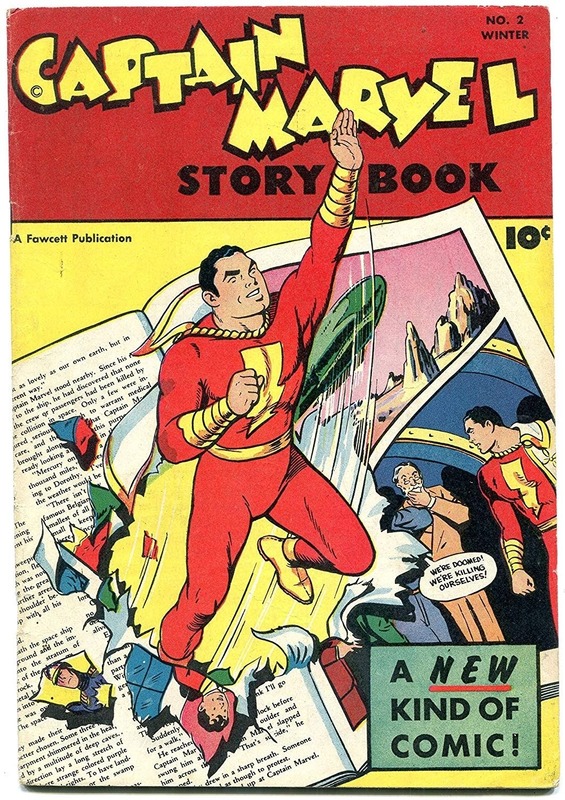 To enjoy his original tales that outsold Superman and set up the successful wish fulfillment formula of a child changing into an adult when he says a magic word, join me in begging DC to release collections of the Golden Age Fawcett Comics Captain Marvel stories. I can't believe they cancelled the printing of the original Binder and Beck "Monster Society of Evil" story yet again! Stop taunting me, DC! 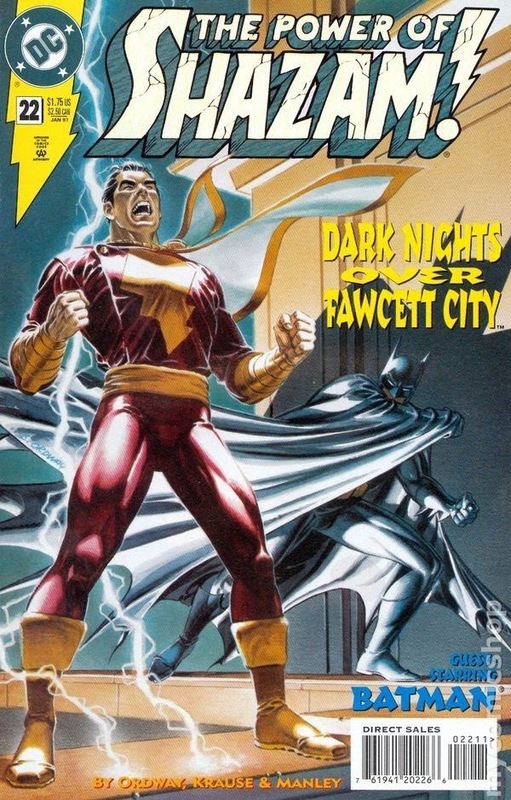 To enjoy the greatest tales that firmly set him in the DC universe proper but maintained the old school whimsy and enhanced the wish fulfillment angle by keeping Billy’s mind in the body of the Big Red Cheese (established in DeMatteis/Giffen/Maguire’s Justice League International), join me in begging DC to release a complete collection of Jerry Ordway’s outstanding Power of Shazam series. To enjoy an epic adventure that is awesome, both visually and storytelling wise, about the formation of a super hero with extra normal powers but with a greatest strength that comes from their humanity, go see the Marvel Captain Marvel film. Sorry, DC, Carol's premier was better than Billy's. Most likely since they've been doing the movie thing correctly longer. 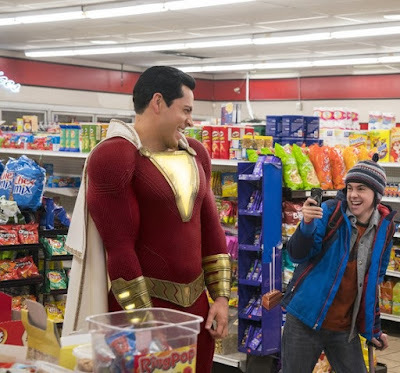 But DC is finally getting the hang of it, and created a entertaining and fun movie that built to the iconic feel DC heroes are supposed to generate. It filled me with the warm superhero happiness when I left, matching that of a well done and inspirational comic book. It follows the Nu52 continuity, (so I've heard) but don’t hold that against it. While restarting everything was a terrible idea for comics, doing that in the movies helps to give the adventures more of a clean slate for new audiences. Hey, it worked for Aquaman! My daughter did recover from getting upset during the early parts of Billy’s growth from his self centered phase. The other option would be to follow my route and pretend it's a Greatest American Hero film until he works his way through that. Honestly, that was a prepared line, I didn't have to go that far, because Freddy sort of externalized the elements that made up the endearing parts of classic Billy as he helped him on his journey. Great job on the advertisements hiding many cool reveals for a change, so I’ll shut up quickly before I reveal anything. 1) It was very subtle, but I think Billy accepting responsibility as the film progressed was supposed to be coming from him starting to listen to the Wisdom of Solomon. 2) Zachary Levi called it "Big with superpowers." There's a clever acceptance of that in one scene. 3) Billy, and Captain Mar his alter ego both said "Holy Moley!" effectively and un-ironically. 4) I could easily see Wonder Woman, Aquaman and Shazam forming the core of a new Justice League for brighter, but still adventure packed cross over films. I will never stop trying this.